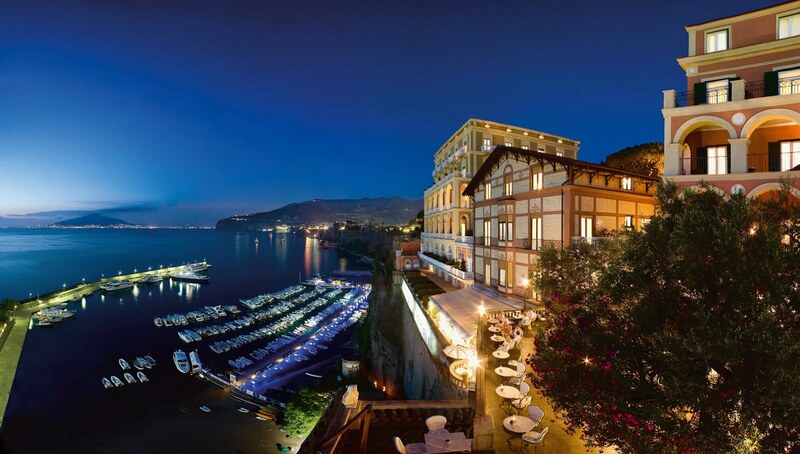 FROM its clifftop eyrie its front views are million-dollar of the Bay of Naples stretching to the horizon, parts of spectacular Sorrento below and of the Neapolitan Riviera's coastline sparkling away to right and left. From around the back they're out over its own 2ha (5 acres) of parklands, and from one side of archaeological ruins from 50BC or possibly earlier, and from the other a few remains of a one-time Roman bathing pool. Beneath it lay parts of a villa Emperor Augustus once called home, an ancient Roman spa, and a fascinating centuries-old crypt inquisitive visitors can still explore today. Is all this some grand museum, some coveted Italian government treasure house, a regal palace or priceless residence from Victorian times? 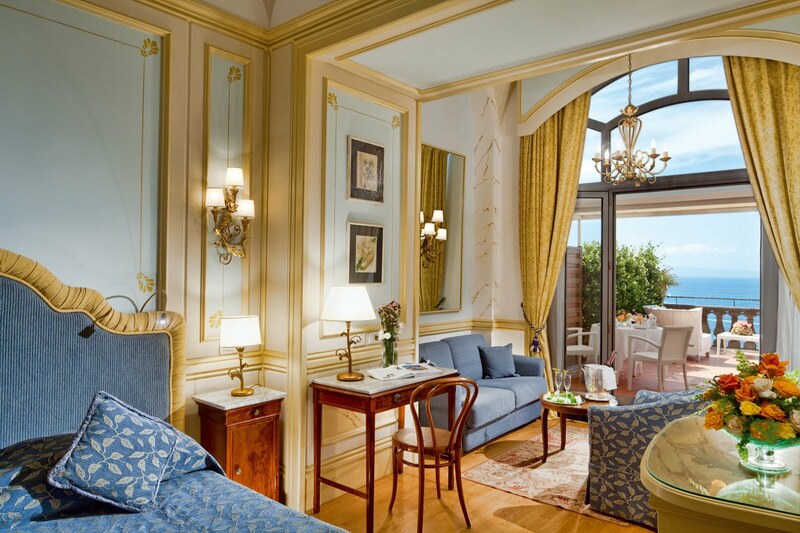 And Richard Strauss, Luciano Pavarotti, Andrea Bocelli, Lionel Ritchie, Barbara Streisand, Marilyn Monroe… and Enrico Caruso who in 1921 spent his last days here in Suite 448 that's now named after him. 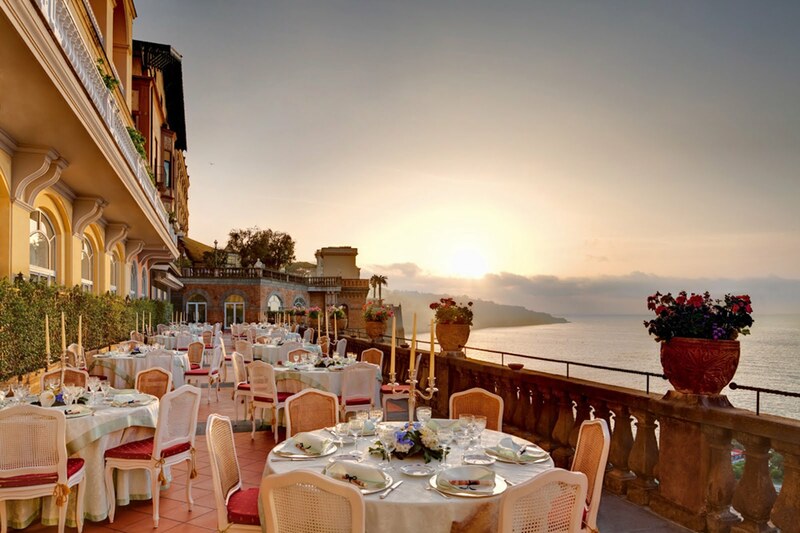 From the very beginning the Fiorentinos wanted their Grand Hotel Excelsior Vittoria to stand out from the rest for those undertaking the Grand Tour – not just for its clifftop location in the very heart of Sorrento, but for its décor, services and dining. So rather than one over-powering monolithic structure they created three smaller interconnecting buildings… and as pioneering firsts back in 1834, installed unique private bathrooms in each of their 92 rooms and suites, new-fangled electric lighting, even a remarkable funicular railway inside a one-time Roman-era tunnel linking the hotel directly with Sorrento's waterfront below. Today, guests enjoy a choice of boutique venues and terraces rather than vast restaurants and bars, indoor and seasonal outdoor dining areas offering a choice of Michelin Star regional Campania, Mediterranean and international cuisines… and for those who must have their American-style buffet fix for breakfast, the Vittoria Breakfast Room has that together with a healthy organic corner and a pianist at play. Large, grand and in many cases over-sized guest rooms and suites reflect the Victorian era with classic antiques contrasted by the latest in contemporary 21st century facilities, almost all having private terraces overlooking the azure Bay of Naples with its flanking hills of olive and citrus groves. 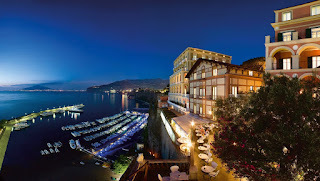 Guests can frolic in the large hydro-jet pool, be pampered in the only Spa on the Amalfi Coast to offer Australian-invented Intraceuticals Oxygen Facials (a hit with the likes of Madonna, Naomi Campbell, Kim Kardashian and Justin Timberlake,) work out in the hi-tech Gym, walk or jog the 2ha-plus private park with its 100 year old ornamental trees, citrus, olive, vegetable and flower gardens, and children's playground. Prices start from Euro220 per room per night including buffet breakfast for two, complimentary Wi-Fi and taxes, and the hotel has its own carpark for self-drive holidaymakers. Book through your favourite travel agent. captures million dollar views to left and right. Campania, Mediterranean and international cuisines. 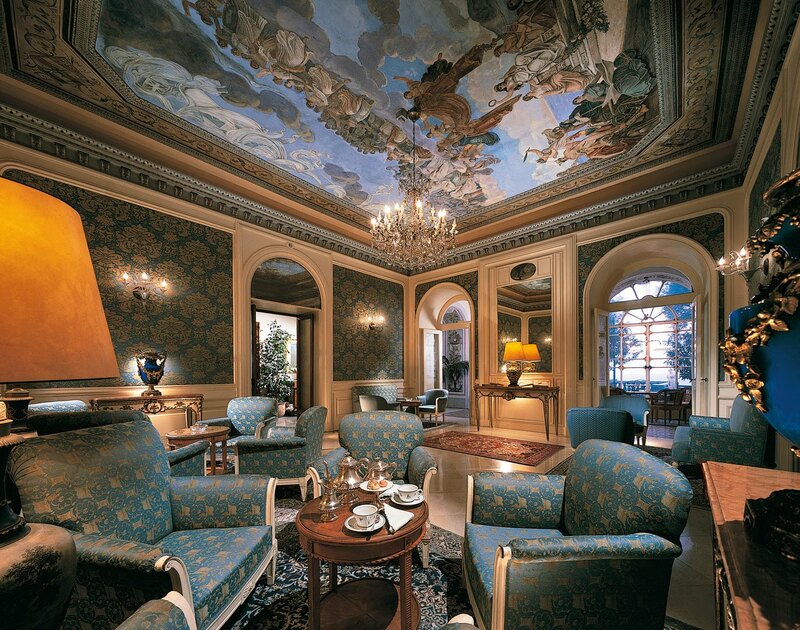 THE Blue Salon for taking gracious afternoon teas in an ambience of an era past. music, literature and film… and a future Australian Prime Minister. year old ornamental trees, citrus, olive, vegetable and flower gardens.